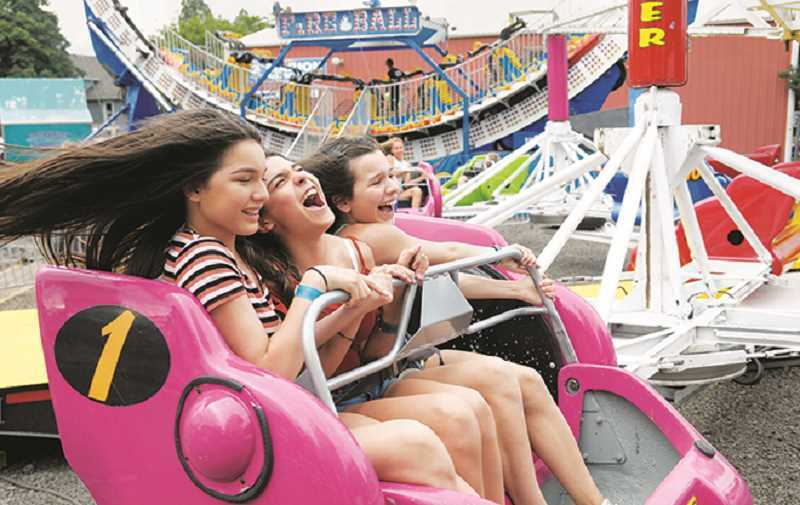 Thousands of rodeo fans showed up in St. Paul to kick off the summer eating corn dogs and cotton candy, braving carnival rides and watching bull riders and horseback stunt riders last week. The event was such a smash hit that St. Paul Rodeo set an all-time attendance record for the second year in a row. The annual five-day rodeo sold 53,103 tickets, according to St. Paul Rodeo General Manager Cindy Schonholtz. 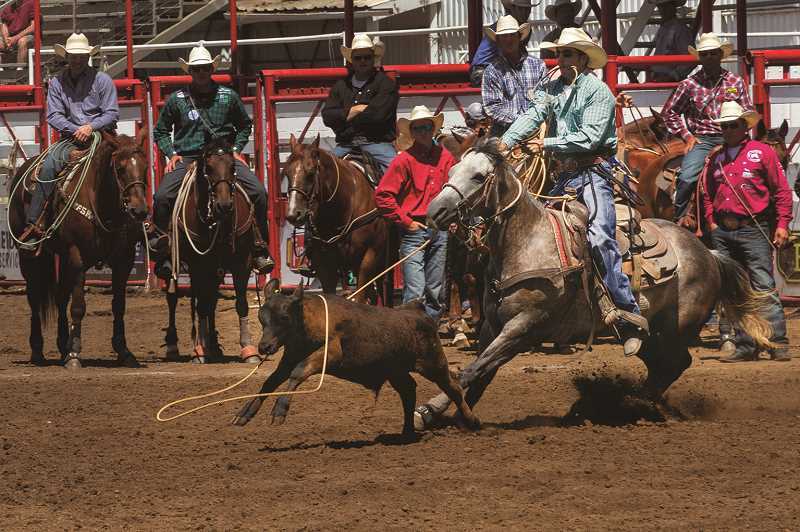 From morning until afternoon, cowboys and cowgirls engaged in the serious side of rodeo, competing in roping calves and barrel racing for a piece of the prize purse. Cowboys chased down fiesty calves on horseback, lassoing them in team and solo events, and leapt from horseback to wrestle steer to the ground. 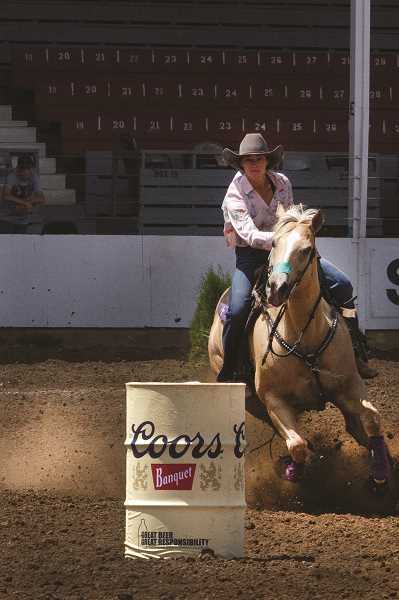 Cowgirls competed in barrel racing after the men's events, horses dashing across the arena grounds sending up plumes of dust as the women urged their mounts on with shouts, whistles and kicks. Schonholtz said that even larger crowds of up to 70,000 people attended the Fourth of July parade, carnival and nightly firework shows. 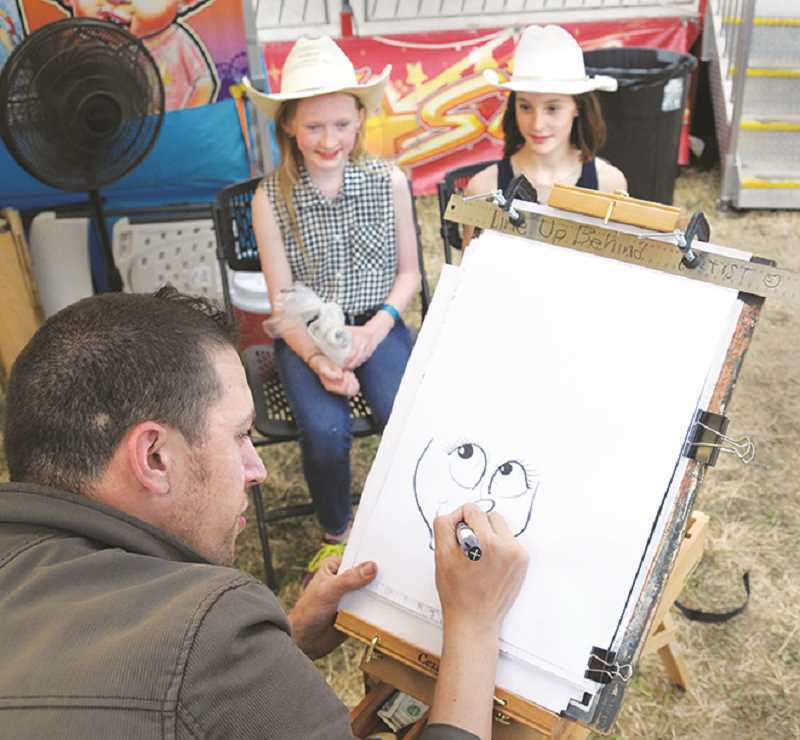 Attractions included Rodeo Court, the all-you-can-eat barbecue competition, an artist "Quick Draw" competition at the Wild West Art Show, carnival rides and vendors with sweet and savory snacks galore. Special guest performer this year was the Full Throttle Trick Riders, a duo of Canadian women who perform death-defying horseback stunts. The Full Throttle Riders were performing for the first time in Oregon, and their first time at a Fourth of July celebration. Full Throttle's founder Shelby Pierson said she was especially excited to celebrate Independence Day in St. Paul and carry out the flag. This year's Fourth of July rodeo was another huge succes,s Schonholtz said. "It was a big team effort with the town of St. Paul, the Parochial School, and local law enforcement," she said. "Everybody really turned up. People really appreciate having a family-fun and patriotic event around the Fourth of July."